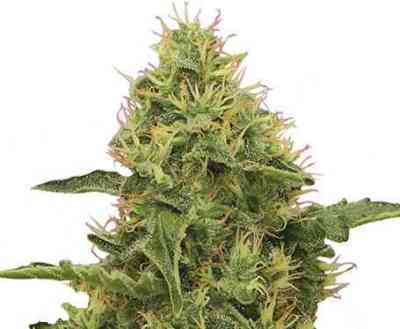 White Widow cannabis seeds by Dinafem Seeds result from a 1997 White Widow elite clone. This legendary seed was the queen of the Dutch coffee shops during the 90’s thanks to its excellent Indica properties. White Widow cannabis seed has been a reference for more than 20 years for many cannabis lovers, which is no coincidence given its well-known relaxing and therapeutic properties. It is an indica-sativa hybrid with clear indica predominance, especially in the growing stage. Not very vigorous, it has many side branches making it easy to control indoors. The leaves are small, dark and shiny, whilst remaining quite wide. The smell of the stems rubbed between your fingers is deep, sweet & sour and very strong; it is important to use carbon filters indoors. Production may be lower than for other strains but this is compensated by its resin coated flowers, offering very good strength and a mixed physical and mental medicinal effect, which is truly pleasurable. It is advisable to leave them in complete darkness for the last 5 days, to increase resin production as much as possible. Bear in mind that it can be easily affected by mould in humid areas.